In September 2016 we got caught in another cattle drive. This time it was the rancher bringing his cattle back from free range on BLM public lands. Like all other times we get caught in a cattle drive we just park off the road and let the drive go by. 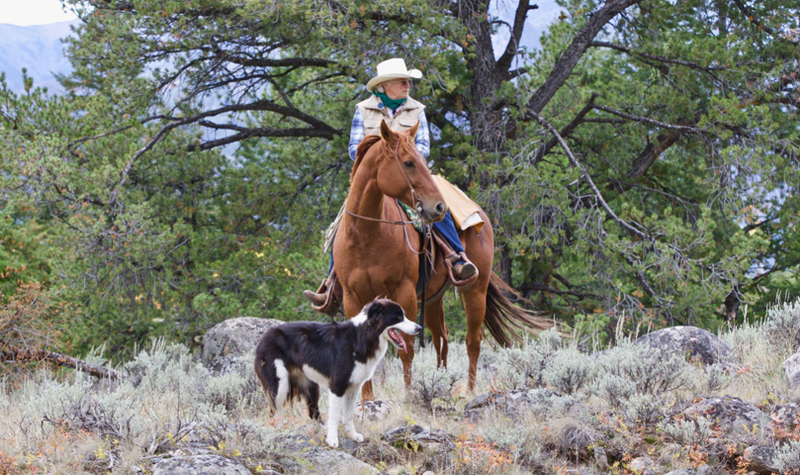 As I was about to photograph this rider, horse and cattle dog all three turned to look at something. I could not see the issue but they sure did. After a few seconds another rider, out of sight, corrected the problem and the three relaxed. It truly is treat to watch the riders, horses and cattle dogs work. They know their jobs well and are always at the ready. The cattle? Well they’re a different story, I guess cattle just don’t like being told what to do.